Eleanor Salyer, 91, of Greenfield, IN (formerly of Rising Sun), passed away at 6:55 PM, Tuesday, October 9th, 2018 at Hancock Regional Hospital in Greenfield. Eleanor was born in Whitehouse, KY on January 12, 1927, a daughter of the late Carma (Murray) and Morton Wiley. Eleanor grew up in Kentucky and was a graduate of Mead Memorial High School, in Johnson County, KY, Class of 1945. Eleanor married Billy Salyer on June 1st, 1947 in Whitehouse, KY. Eleanor and Billy were married over 48 years until his passing. Eleanor formerly worked at Siekman-Stearns Insurance Co. in Rising Sun, IN. She also had worked as office manager for a savings and loan bank and was a former telephone operator. 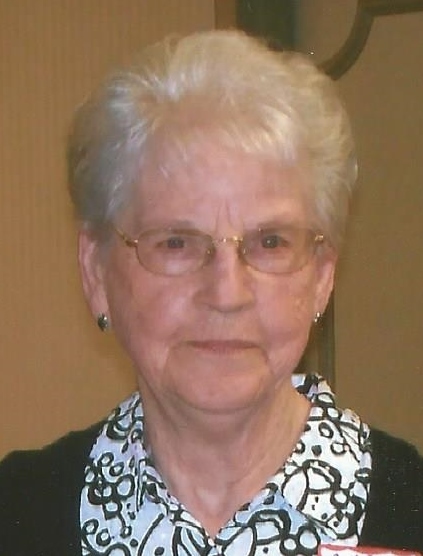 Eleanor was a member of Bethel Unity Baptist Church in Rising Sun. Eleanor enjoyed reading, sewing, crocheting and quilting. Eleanor is survived by three daughters, Gwen (Gene) Adams, of Miamisburg, OH; Deborah (Dean) Tuggle, of Rising Sun, IN and Hazel (Larry) Jones, of Greenfield, IN; by grandchildren: Jay Adams, Gina Kremer, Samuel Jones, Lydia Jones, Sabrina Blake, Audra Pelham and Alicia Robinson and by great grandchildren; Keegan Smith, Macy Adams, Makenna Smith, Kendall Adams, Abigail Kremer and Hannah Kremer. Eleanor was preceded in death by her parents, by her husband, Billy B. Salyer in 1995, by a son, Wendell Salyer in 1979, by infant daughter, Miriam Salyer, by brothers, Melvin Wiley, Morton Wiley, Jr., Joe Wiley and John Wiley, and by sisters, Edith Chandler and Anne Martin.